SAGE HomeCare has been trusted by families in your community for more than 60 years. In fact, we pioneered home care services in our region. Ask a friend or neighbor and chances are, SAGE has helped a loved one in their family. Today, we continue to offer new and innovative care options to help meet the needs of our clients. We’re here to help — call us at 908.273.8400 or read below to learn more. We have a simple philosophy that we have adhered to since our founding — We believe your home is a great place to age. We offer a broad range of services from hourly to overnight and live-ins — both short- and long-term care, as well as a bath service. 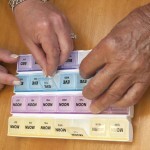 Our aides can help with everything from personal care and meal preparation to compliance with therapy, medication reminders, exercise, and more. 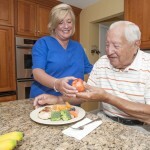 We even offer options such as dietary consultation, RN supervision, and care plan consulting. We offer HomeCare and other services that are geared to helping individuals and their caregivers who are learning how to manage Alzheimer’s and related dementia. Many of our aides and staff also have specialized training as Certified Dementia Practitioners from the NCCDP. SAGE also offers a center-based adult day care program with transportation. Of course, we are fully accredited by the NJ Commission on Accreditation for Home Care (CAHC). Our Registered Nurses and Certified Home Health Aides (CHHAs) are licensed through the New Jersey Board of Nursing and all our staff is fully bonded and insured. Our aides are well-trained, well-supervised, and always professional. Our HomeCare specialists are experts in helping families choose the right home care options. 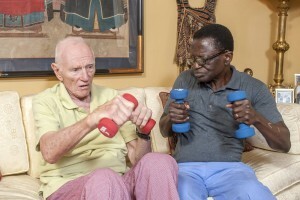 Ask Us About Funding For Your Home Care: There are many funding sources available for those who qualify, including Medicaid, Respite through Union County, Long Term Care Insurance, County Title Funding through the Older Americans Act, and VA Benefits. Our home care services are available in Union, Essex, Morris, and Somerset Counties. We pride ourselves in offering the broadest and most flexible services available. Please call 908.273.8400 to discuss your individual needs.